Each year Kids 1st gets involved in lots of sponsored events for Children in Need but this year is an extra special one for Hexham as the show will be broadcast from the town centre on 15 November. 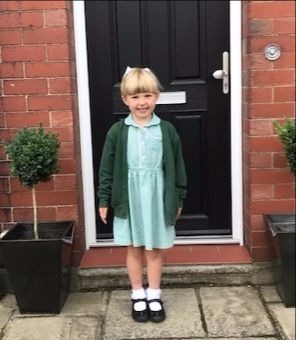 Not only will the nursery have a stall on Beaumont Street during the live broadcast, but they will spend all of this week fundraising within the nursery. 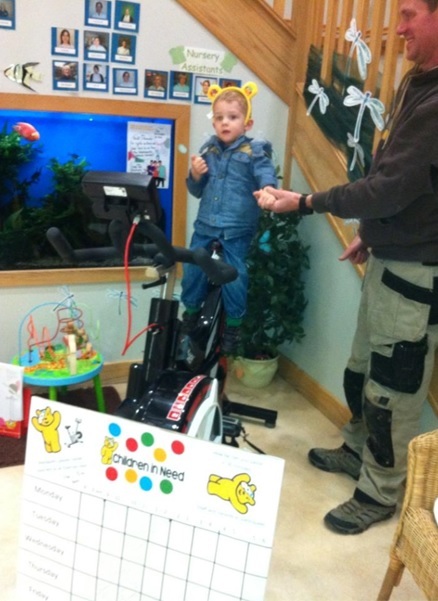 Parents and staff have taken on a sponsored cycle in the nursery reception, much to the delight of visitors, and the children are taking part in a number of activities, including a sponsored scootathon! Special thanks goes to Wentworth Leisure Centre for providing the nursery staff with a bike for their sponsored cycle.